A little different take on how to add beads to hoop earrings...I strung beads on a wire and wrapped them around the silver hoops. I believe I was pretty successful in making the earrings symmetrical. There are blue crystals and glass beads which just sparkle in the sunlight.I added a few silver beads for highlights. 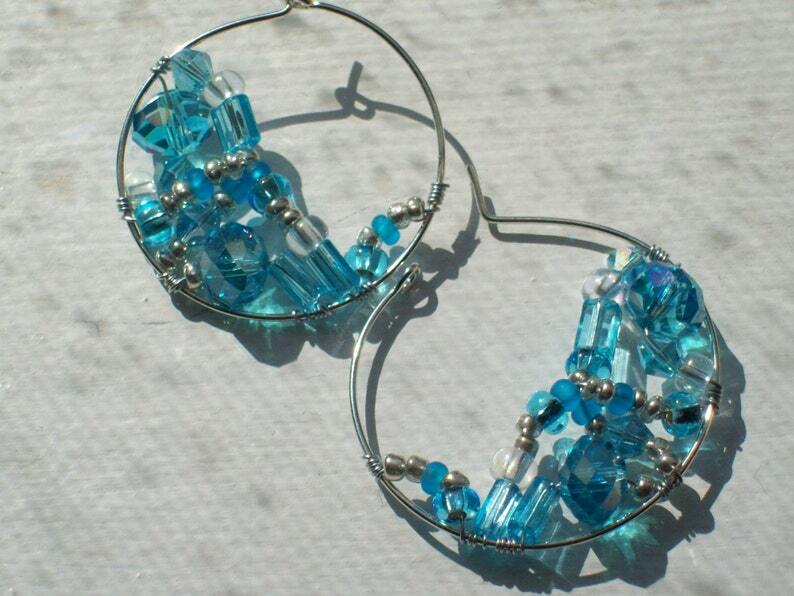 The earrings are very comfortable to wear and look great! If you would like another color, please don't hesitate to contact me. I can do it!